I believe that many people have met this kind of problem: you put a new toner for your printer, hoping that they can work with each other very well, but finally find that the toner light is still on which is a signal for “Replace Toner”, “Toner Low” or “Toner Ended”. It is so annoying, isn’t it? Don’t be worried! You can manually reset the printer in order to get rid of these types of messages. But under these circumstances, most of us will doubt the quality of the toner and plan to buy another toner. Therefore, a high-quality toner cartridge is so important. Because of the high printing quality and stable running performance of Brother printers, the best seller of toners undoubtedly belongs to Brother toner cartridges. 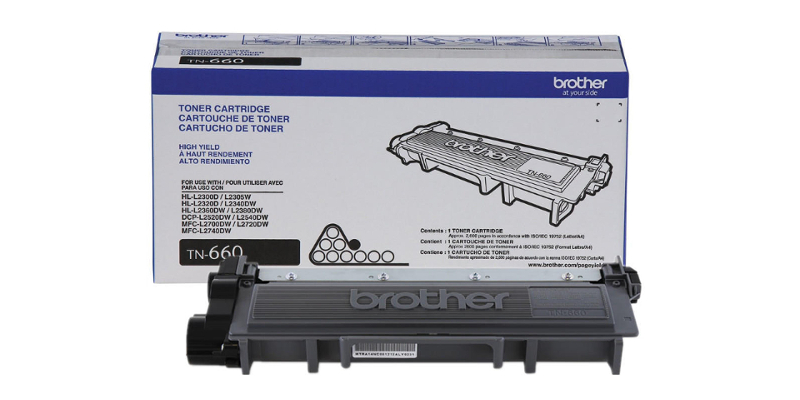 Among a large sum of models, Brother TN 660 toner cartridge is the most popular toner which is compatible with Brother printer DCP-L2540DW, HL-L2305W, and MFC-2740DW etc. Now, we will introduce you to this popular toner cartridge — TN 660 Original Black toner cartridge. Brother TN-660 is the genuine product from Brother and is the high yield version of Brother TN-630. For the page yield of this toner, TN-660 can print approximately 2,600 pages. 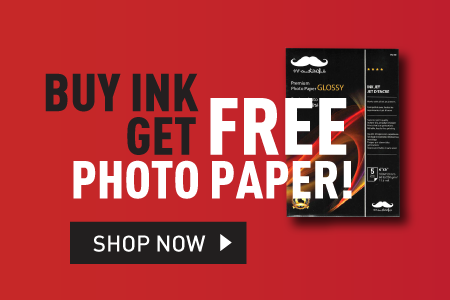 Its goal is to offer the ultimate printing experience. Brother TN-660 toner cartridge, the high yield edition, can print more than twice the standard of TN-630. This high-quality toner cartridge is sold at $69.99 and the marketing price is $94.06. The price on our website is absolutely cost-efficient and you can save almost $19.00. That’s a great deal for you. If you think that the OEM toner cartridge is not cost effective for you, then the new compatible toner cartridge is suitable for you. 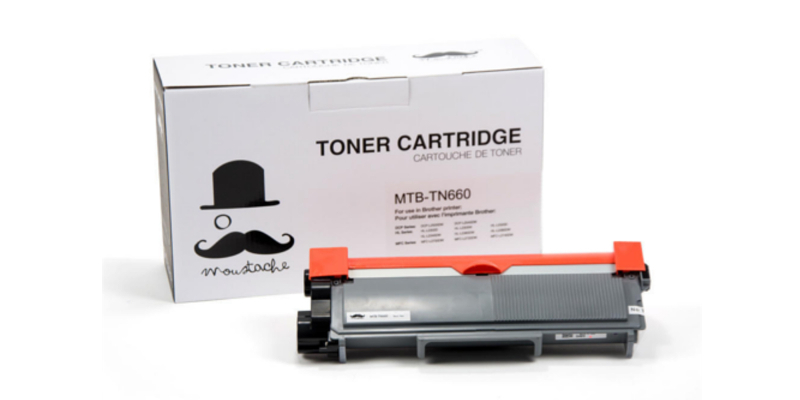 Brother TN-660 New Compatible Black Toner Cartridge – Moustache® is made from all new components, and it will be compatible with your printer model without any problem when you are replacing your current TN660 Toner Cartridge. 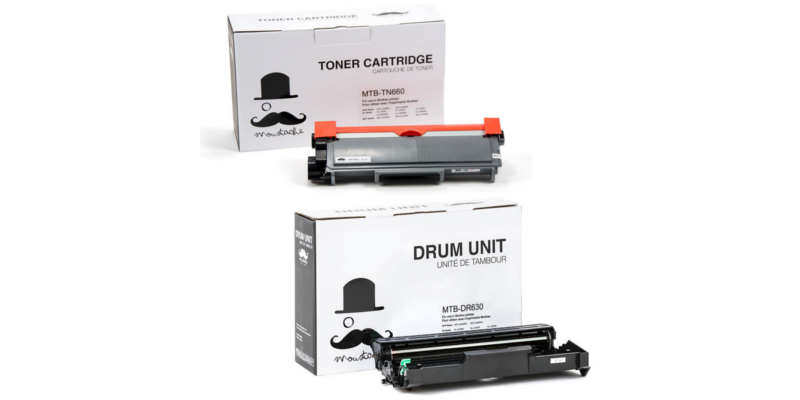 Furthermore, it offers you the same good printing quality as OEM Brother TN660 cartridges and will also print at least the same amount of pages as its OEM counterparts. In addition, our website also offers the new compatible toner cartridge combo. Moustache® is the brand from Canada and has passed the ISO14001 certificate and has passed ISO9001 for their quality. Choosing the new compatible toner cartridges will be the perfect solution to help you to save the printing cost. 123ink.ca will offer you a high-quality online shopping service. You will enjoy shopping on this website. Our website offers free shipping for all the orders above $49. You will absolutely have a happy shopping experience on our website. Let’s click on 123ink.ca and enjoy the fun of shopping online!